The rugged beauty of the Badlands National Park lie in the plains landscape just to the east of the Black Hills in South Dakota. These striking geologic deposits contain one of the world’s richest fossil beds. Ancient mammals such as the rhino, horse, and saber-toothed cat once roamed here. The park’s 244,000 acres protect an expanse of mixed-grass prairie where bison, bighorn sheep, prairie dogs, and black-footed ferrets live today. The rugged beauty of the Badlands National Park. The yellow and red layers in the Badlands National Park formations are fossilized soils, called paleosols. Fossil root traces, burrows, and animal bones found within the soils provide scientists with evidence of environmental and climatic changes that occurred in the badlands over time. Lakota people were the first to call this place “mako sica” or “land bad.” Extreme temperatures, lack of water, and the exposed rugged terrain led to this name. In the early 1900’s, French-Canadian fur trappers called it “les mauvais terres pour traverse,” or “bad lands to travel through.” Today, the term badlands has a more geologic definition. 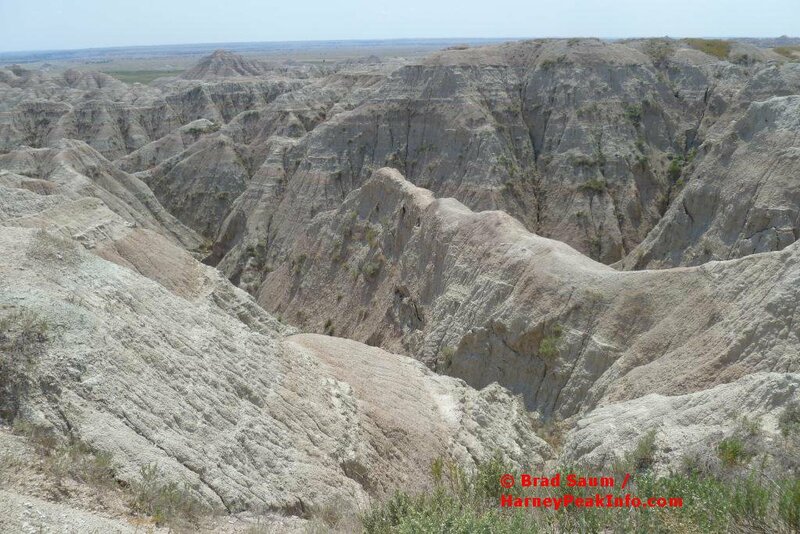 Badlands form when soft sedimentary rock is extensively eroded in a dry climate. The park’s typical scenery of sharp spires, gullies, and ridges is a premier example of badlands topography. To fully experience most of what the Badlands has to offer, it takes two days. To drive straight through the park with a quick stop at just few overlooks, it takes about two hours. Here are a few highlights you won’t want to miss & the minimum time needed.